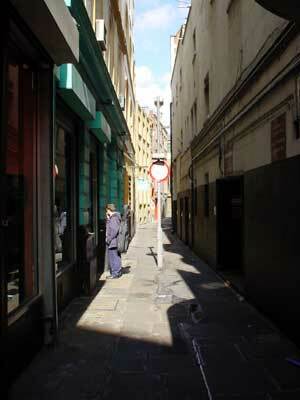 This narrow alleyway connects Charing Cross Road with St Giles High Street. The area around Denmark Place (and it's near neighbour Denmark Street) has enjoyed a long association with musicians and the music industry. Although the days of 'Tin Pan Alley' are long gone, there's still several music stores and small venues in the area.